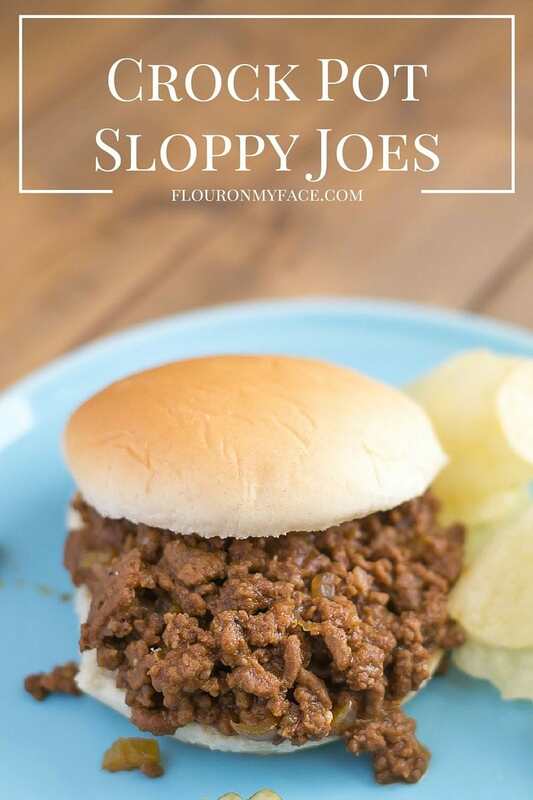 Crock Pot Sloppy Joes are so easy to make and taste so much better than the ones you make when you buy the sauce mix in a can. 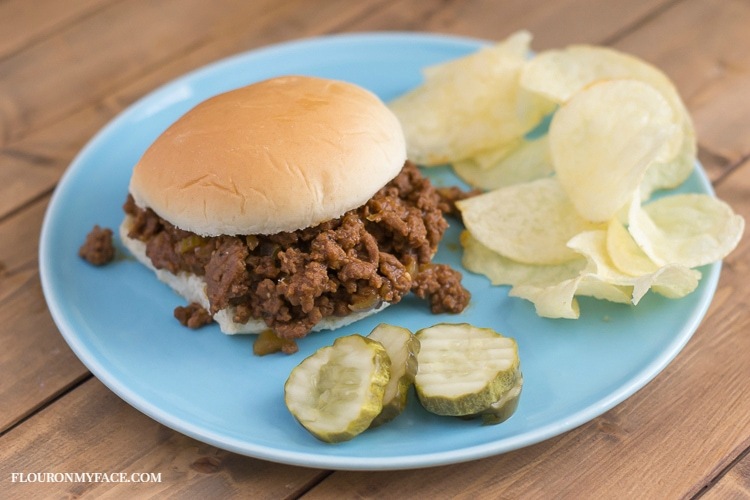 Crock Pot Sloppy Joes are a perfect and easy summer dinner recipe for busy Mom’s. Crock Pot Sloppy Joes also are one of the easiest Freezer Meals to make. Crock pot recipes and Freezer Meal recipes can make life so much easier, especially during the busy summer months. Place the cooked ground beef and remaining ingredients into a crock pot. Serve on buns with chips or your favorite side dish. This homemade Crock Pot Sloppy Joes recipe is a family favorite and is one of those perfect recipes. You can make it in a crock pot, skillet or freeze it ahead for the easiest freezer meal ever. Cooked in a crock pot on high for 2 hours or low for 4 hours. Looking for more easy crock pot recipes like this Crock Pot Sloppy Joes recipe? 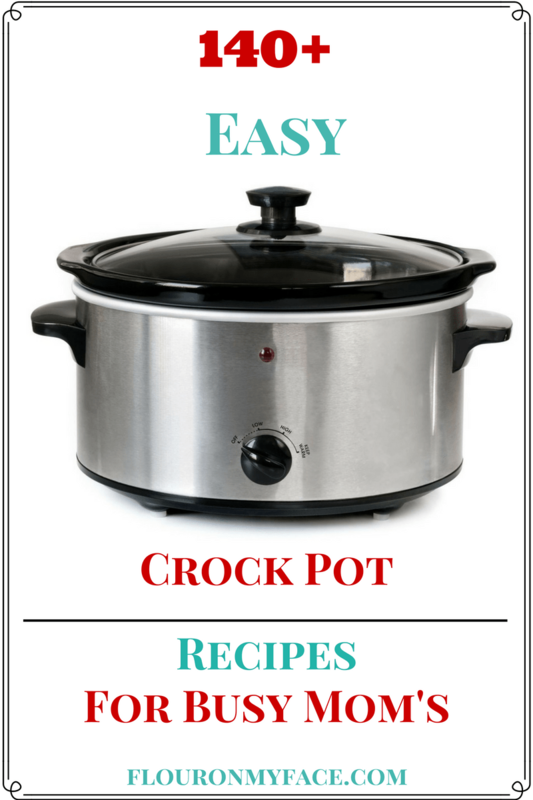 Head over to my Crock Pot recipe page where you will find 140+ Crock Pot recipes to make life easier! My daughter just had her second baby and these will be perfect to take over to them for dinner! Thank you! Congrats to your family! I hope your daughter enjoys the recipe! Jessica this is one of the easiest freezer meals you’ll ever make. Good luck on the move. Moving is grueling. I just moved myself in April. I have no doubt my family will love this (and I already love that it’s a CrockPot recipe)! Thanks for sharing with us at Merry Monday this week!